“Modern Greenery” is one of my favorite trends at the moment. I love the simplicity of the style and finding the perfect balance between modern and elegance. 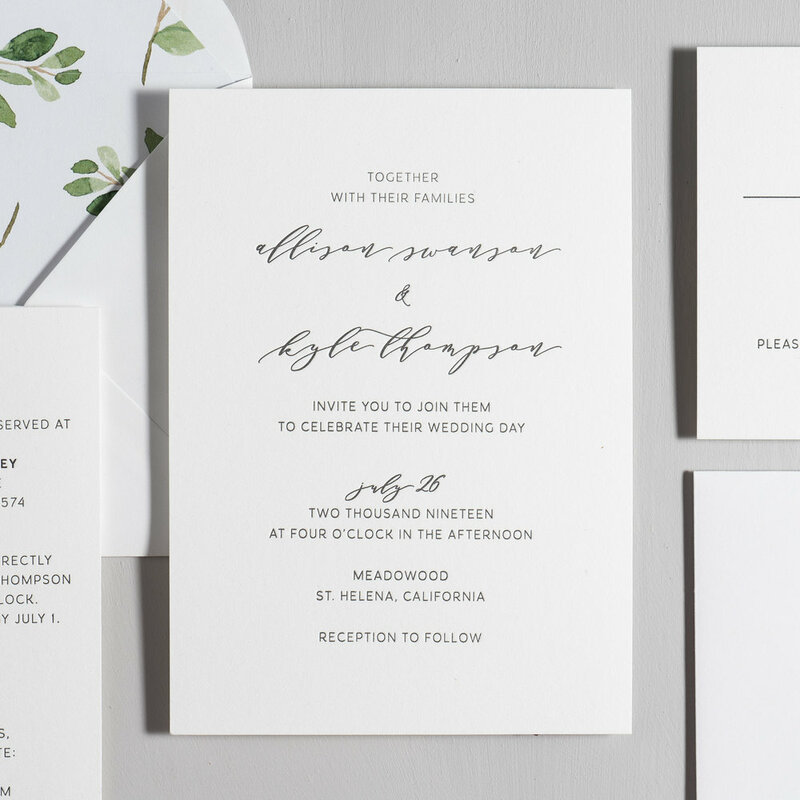 Today, I’m excited to bring to you the new and improved Modern Greenery V2 Letterpress Wedding Invitation Suite. 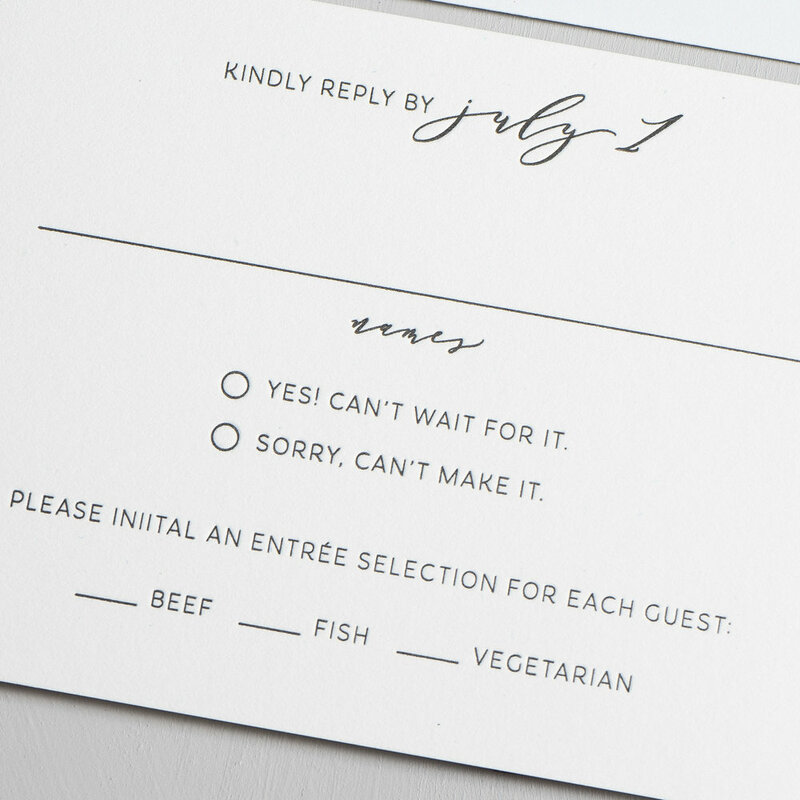 The invitation design is very simple with modern typography. The letterpress details make a lasting impression and add to the overall elegance of the design. The Green Leaf V2 Envelope Liner was the perfect match for this invitation suite, bringing in watercolor leaves to compliment the greenery style. The Modern Greenery V2 Letterpress Wedding Invitation Suite has all matching day-of stationery for your wedding from save the dates, menus, place cards, thank you cards and anything else you may need to create a cohesive look for your wedding day.